There are just a few spots remaining on this all-encompassing School of Birding Workshop. Late October is the time the local birders wait for; crowds have diminished and the most massive fallouts of the season commonly occur NOW! Sparrows, kinglets, bluebirds, American Robin, Hermit Thrush, and literally who knows what else, since this week starts the season for vagrants in Cape May. It's also a great time for big raptors like buteos and Golden Eagle, while large seabird flights pass Avalon and Cape May Point nearly every day. 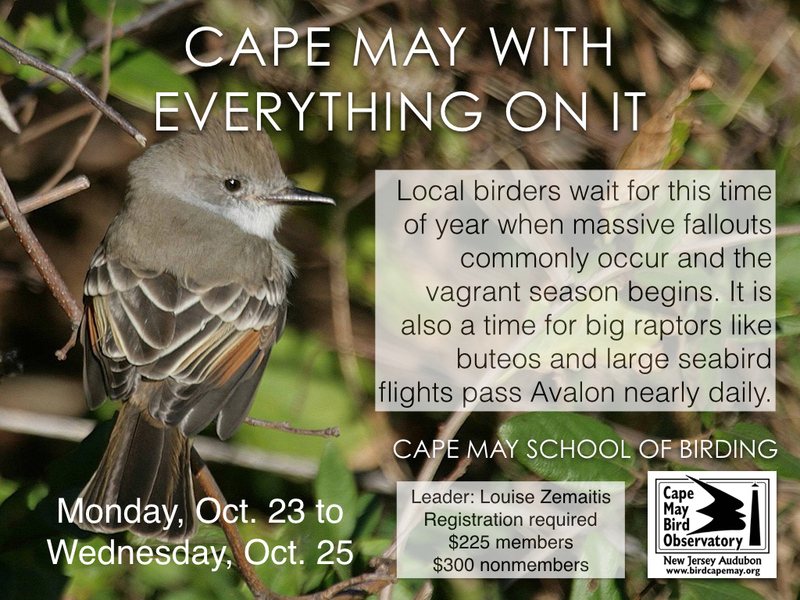 Join local experts Louise Zemaitis and Michael O'Brien in experiencing all that Cape May has to offer. 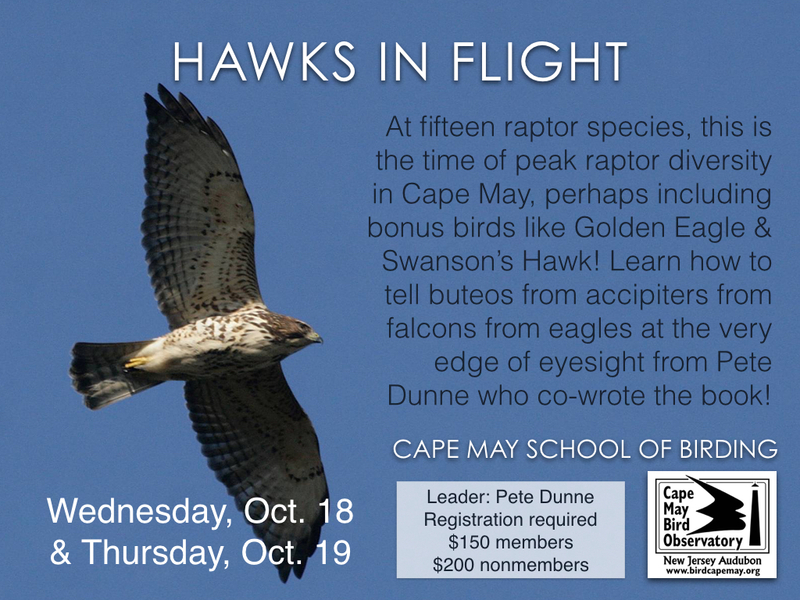 At fifteen raptor species, this is the time of peak raptor diversity in Cape May, with a chance at bonus birds like Golden Eagles and Swainson's Hawk! It is a rare moment during late October in Cape May when something raptorial is not in view. Learn how to tell buteos from accipiters from falcons from eagles at the very edge of eyesight. 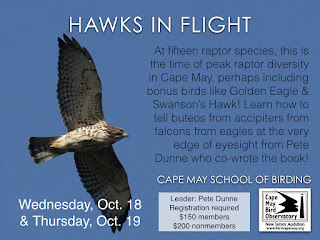 Pete Dunne co-wrote the book that is the title of this workshop, and the only thing he enjoys more than watching hawks is imparting the knowledge he has accumulated during his 15,000 hawk watching hours. 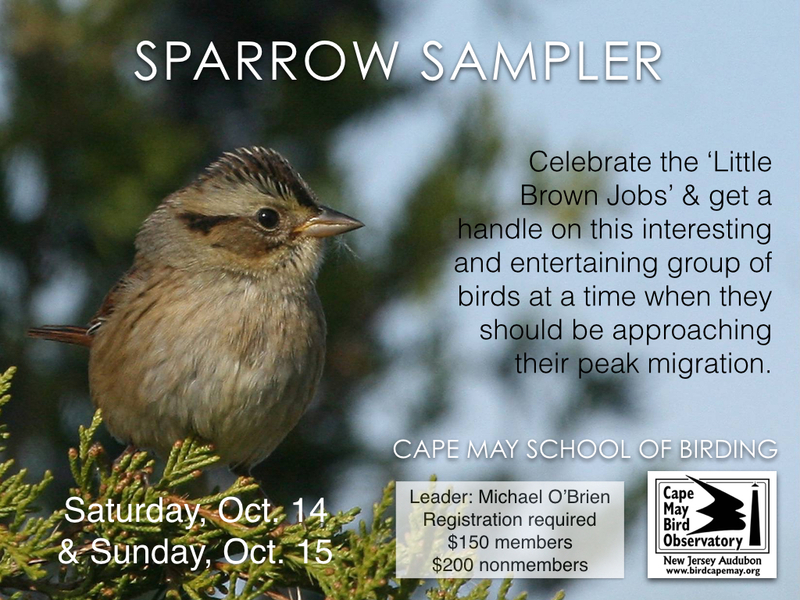 Join us for this exciting School of Birding Workshop! A workshop celebrating the ‘LBJs’ (little brown jobs). Subtle and cryptic they might be; difficult to identify they are not, providing you have the right instructor, the right place and the right time. A time when lots of sparrows and lots of species abound. Common species like Swamp, Field, Savannah and Chipping. Uncommon ones like Clay-colored, Vesper, Lincoln’s, Nelson’s and Saltmarsh. 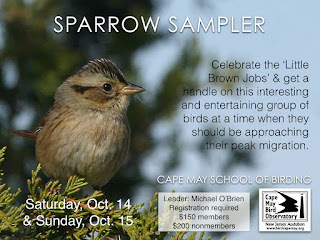 Learn the basics of size, shape and behavior first, then practice examining plumage patterns to discover how stunning sparrows can be. 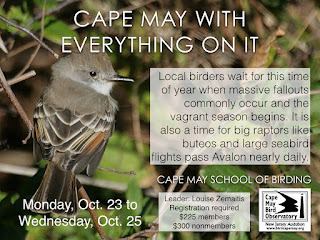 Join us on this exciting School of Birding Workshop! Saturday, October 14 & Sunday, October 15.